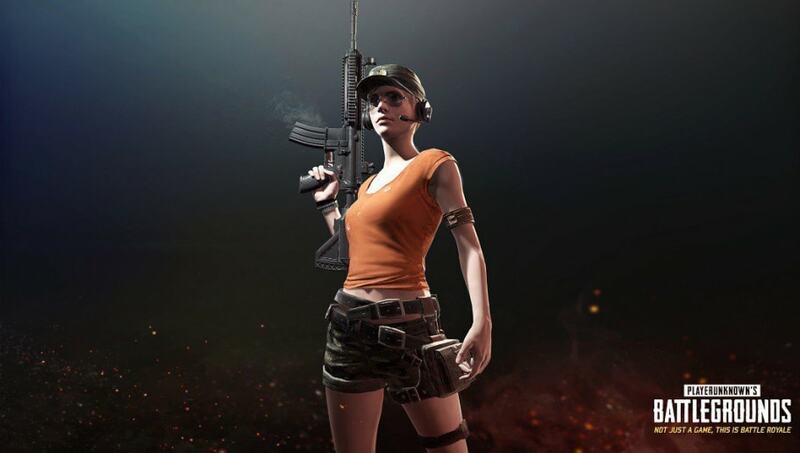 To get anywhere in PLAYERUNKNOWN'S BATTLEGROUNDS, players need to get the best loot possible. Some weapons are better at range, and others reign supreme in close quarters. The number of choices available to players is what helps make the game stand out. The M416 is a solid all-around assault rifle. It has manageable recoil, good damage, and great range. Its greatest asset lies in just how many weapon mods can be used with it, allowing players to custom tailor the M416 to whatever purpose they might need. For closer ranges, the angled foregrip will reduce recoil to a point where the M416's already easy to manage recoil is nonexistent, allowing players to keep more of their shots contained in a smaller area. The extended quickdraw mag increases the ammo capacity from 30 to 40 rounds but speeds up the reload. A silencer or compensator would be great additions to the weapon and allow the player more versatility. For scopes, players would be best suited to getting a 2x aimpoint or a 3x scope, allowing them to dominate close and medium quarters with ease. For players seeking a longer ranged build, a vertical foregrip will significantly increase their recoil control, allowing them to tap fire with greater accuracy. The extended quickdraw serves equally well alongside the compensator. Throwing a tactical stock on the M416 gives it an even lower recoil, making the tap fire extremely easy to control. Players should pick up a 4x ACOG or a 6x with it to battle at range. The SKS DMR is a great mix of long range capability, high damage, and high bullet velocity. Classes as a DMR, the SKS can function as a sniper rifle that can be useful in a closer quarters fight. Host to the most attachments of a sniper weapon, the SKS' versatility makes it a fantastic weapon. The biggest problem with the SKS is its high recoil, which offsets its higher damage. An angled foregrip will do wonders to reduce the recoil and keep the pattern tight, allowing for longer range shots. An extended quickdraw mag is great for continuous fire, or to ambush someone who thinks you're reloading. The cheek pad stock is great for longer range sniping and makes recoil much more manageable.The 8x CQBBSS and 15x PM II scopes are perfect for longer ranges, allowing the SKS to be used even at extreme distances. As the only fully automatic secondary weapon, the P18C dominates in close quarters fights. It's incredibly high rate of fire even allows it to be useful as a primary weapon. Its high recoil will have to be tamed to keep up continuous fire, and it won't be very effective outside of close range. The quickdraw magazine will be ideal for the P18C, as the weapon doesn't gain much from an extended magazine. The ability to reload extremely quickly and keep firing is unparalleled. The red dot sight speeds up the time it takes to aim down sights, allowing a player to get some control over the recoil. The Frying Pan is easily the best melee weapon in PUBG. Boasting the highest damage, it will easily kill a player in one to two hits no matter what stage of the game. What's especially impressive about it is that it can also act as a sort of armor. The pan itself is entirely bullet proof and will deflect the fire of any weapon fired at it. That gives the pan a great use as a warning system, as it will easily alert the player if they are getting attacked from behind. It might not be the stealthiest outfit, but the Golden Tracksuit will definitely leave an impression on opponents. This stylish outfit is made of blue rarity clothing pieces, which means it's not a chore to outfit, even though it's not entirely common. The tracksuit actually provides good camouflage in the tall grasses of Erangel and Miramar. A player lying prone on the ground can hide in plain sight, with the ability to ambush anyone not taking careful time to look around the terrain.